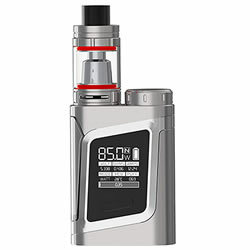 SMOK ALIEN AL85 - SILVER FULL kit buy from NUCIG UK. Nice weighty feel with all the controls I need. I like the idea of a removal battery which can be easily replaced with a new one.